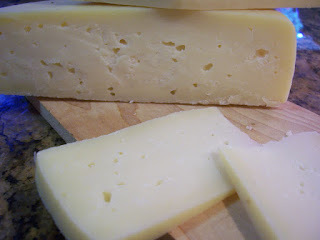 Sunday afternoon I cracked open my second wheel of homemade Emmental. 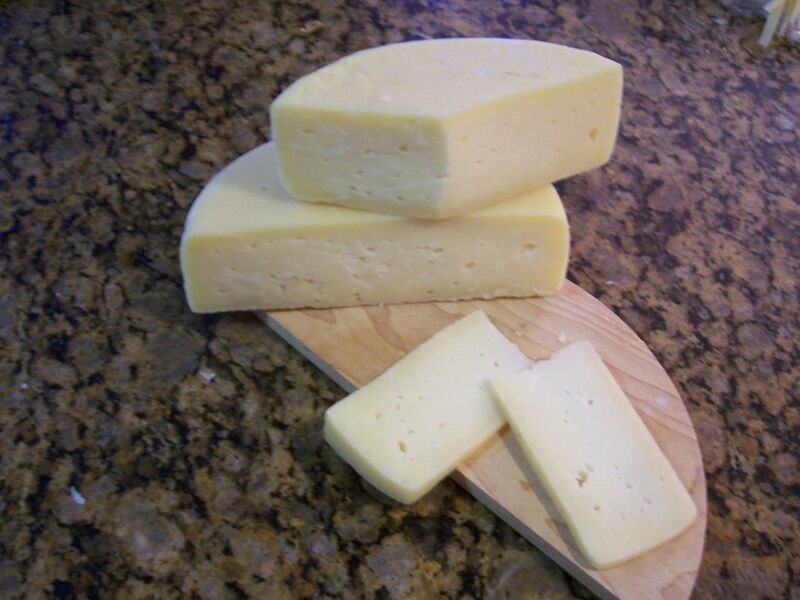 Emmental is the "real" name of what most people think of as Swiss cheese. It takes its name, like most cheeses, from it's birth place. In this case, it's the Emme Valley of Switzerland. My first Emmental was rather dry, with a waxy texture on the finish. I blame the dryness on the humidity troubles I'm constantly trying to adjust in my "aging cave" (read: micro-fridge). The blame of waxy texture is solely pointed at the use of pasteurized milk. I also think I heated the curd too high. But here was my chance at redemption! I had a beautiful, golden wheel of raw milk Emmental, which I knew had been heated to a much more moderate temperature. As I pushed the knife through the rind, I hoped fate would be kinder on my second attempt. Regardless, I still held my breath. And viola! Holes! My cheese has holes! If anything symbolizes Swiss cheese, it's the holes! While not the walnut-sized holes you'd find in the commercial product (although I've grown suspicious that they add powdered lactose to those cheeses, to give the cultures more milk sugars to eat, thus larger holes), my cheese was clearly of holey lineage. Flavorwise, it had the typical tang of a Swiss, but had the full, well-rounded flavor of a raw milk cheese that I hoped for. Although a bit dryer than I would like, it was smoother than my first pasteurized version. It also melted much better than any of my previous pasteurized cheeses. All in all, a big step up. I'd like to try this in a slightly larger wheel, as I think that would give me more delicious insides and less rind. That looks too yummy and delicious! !